They show as a gloss but not too much as a color if that makes sense. Yup, I post M, W, F most of the time. Thanks for visiting! Oooh, that's a pretty one! This was my first time trying Lorac products too! Thanks for visiting! I contemplated picking these up when I have my coupon last time, but when I saw them, they looked super shimmery in the tube! They don't look it in the swatches, very pretty...and I bet topped with a color corresponding the shade would be really pretty as well. Yup, they are just glossy, not overly shimmery. I do love to use them over lipsticks. Thanks for stopping by! That is a great deal! They look way more shimmery in the tube. 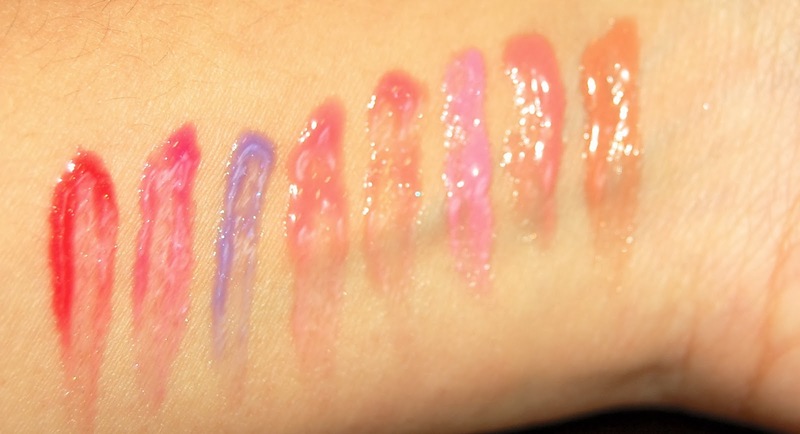 I like the colors swatched but agree that they would def be better layered on top of a lipstick. Thanks for sharing doll! Yes, $12 is amazing! I've barely used mine so I was a little annoyed that I paid a little more but I still got a good deal on them too so it's ok. Thanks for visiting! I was so tempted by these but I was a good girl. I was a bit concerned about the lavender one but its actually pretty sheer. These sound like great glosses and they taste like cupcakes?!?! Yum. Great post my dear. Yes, it's a pretty fun set! Makes me want to try their full size glosses! These are so cute! 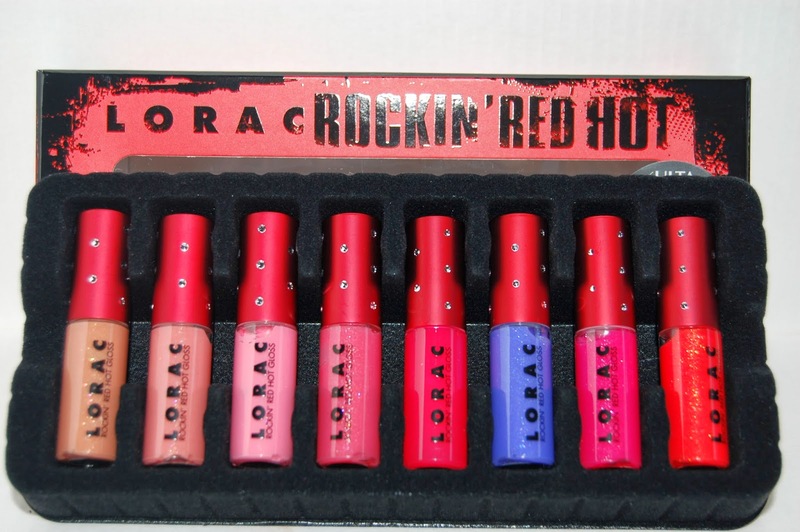 I had the Rockin set when it was on sale at Sephora. $20 for 6 full sized tubes was a steal! I ended up giving them to my friends because I never found myself reaching for them =( These mini's look awesome and will def last quite a while =) They do smell yummy indeed! Thanks for sharing! What?!?! That's a way better deal than this one! It's strange, none of the Sephora's around me have ever told Lorac. I know all of them are getting rid of them now though. I got one of these but the lip glosses were full sized! I agree, the shades are lovely and they smell/taste great! The formula really reminds me of the MAC lip glasses! Yes, I just read from another commenter that there was a set of full size set of these and now I'm bummed that I missed out on that one! After trying these, I totally want a full size gloss!